If so, you just found your bat. Louisville Slugger’s Select Maple Wood Youth Baseball Bat is a straight forward piece of maple shaped into a baseball bat. Every review we’ve ever seen on the bat ranks it as high a value purchase as you can get. It’s cheap, simple and nothing mo… Jump to the full review. We aren’t the only ones to have information about the Select Maple Wood Youth. Other places, in particular those who sell bats, usually have a boiler plate write up on the specs of a bat. Many of those we reference to make sure we are seeing what we should be. 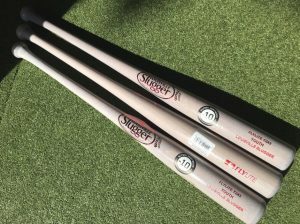 Here are some more references for the 2019 Louisville Slugger Select Maple Wood Youth review. If so, you just found your bat. Louisville Slugger’s Select Maple Wood Youth Baseball Bat is a straight forward piece of maple shaped into a baseball bat. Every review we’ve ever seen on the bat ranks it as high a value purchase as you can get. It’s cheap, simple and nothing more than a maple wood youth bat. This is a C243 model turn. Meaning, it is as traditional as you can get. C243 is the same type of a turn Derek Jeter used on his bats. But, of course, this comes much smaller (and Jeter was an Ash bat guy). But, this little stick is exactly what your youth player looking for an inexpensive youth baseball bat needs. There are several comparable 243 model turns in the youth space. Seriously, go look on any major bat vendor site and check out the C243 turn in some youth sizing. In theory, each of those bats should be the same. We would recommend a couple like Marucci’s Youth bat line as well as the Sam Bat line. But, compared to this very straight forward Youth Bat from Slugger those run expensive. The wood on those is of a higher quality (the same quality pro guys use). But, unless your little guy is seeing serious pitch speed then the C243 Youth bat from Slugger should work just fine. Slugger’s version is a C243 turn. Meaning, it has an average sized barrel with a lighter swing weight. The bat is made of a single piece of Maple—just like the pros. The wood grain is not a high quality as theirs—hence the lower price point. But, for most intents and purposes the bat will work just fine. As well, the bat comes in a high gloss finish–opposed to an unfinished look. On the whole it gets good ratings for durability feel and usefulness. Depending on exactly what model you are looking for, expect this to come in a 28 through 32 inch length. The drops on youth wood bats are quite difficult to manage (especially cheap ones). The drop, you should know, is the numerical difference between the length of the bat in inches and the weight of the bat in ounces. The C243 will range from a drop 5 to a drop 9. Most vendors don’t appear to let you choose.